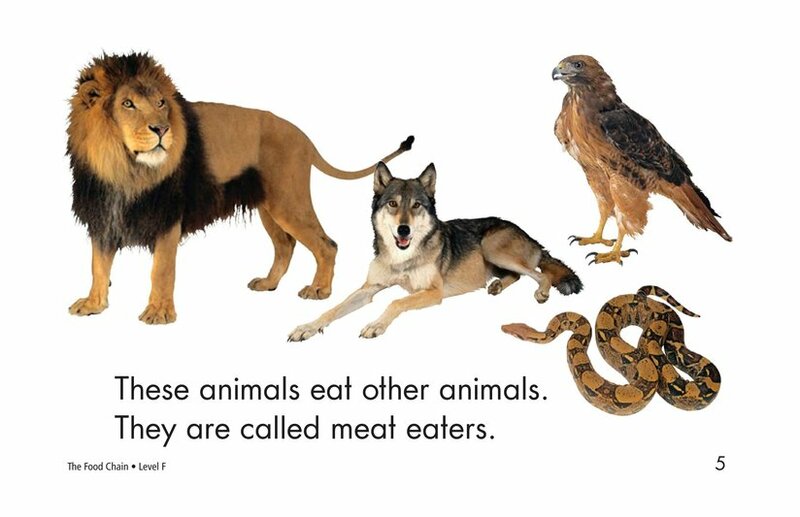 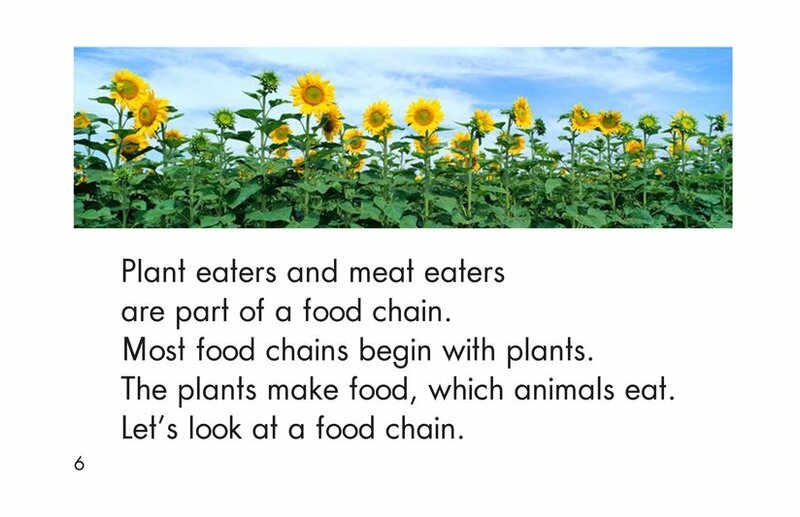 The Food Chain features five items in the food chain. 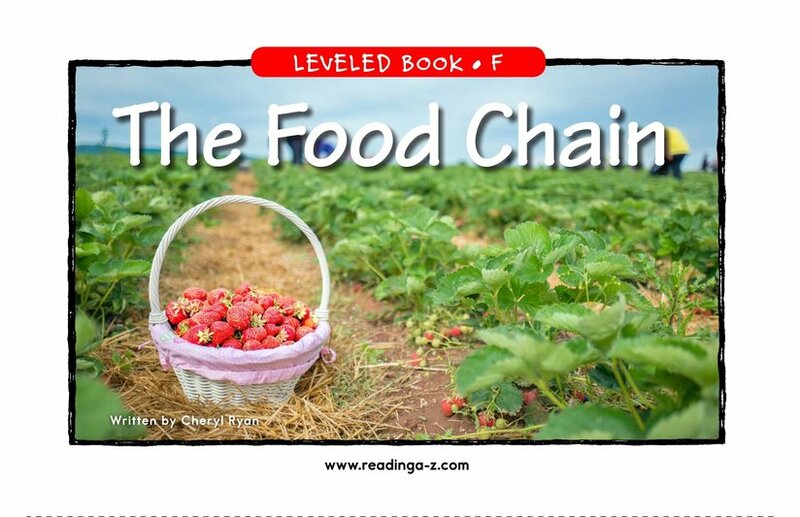 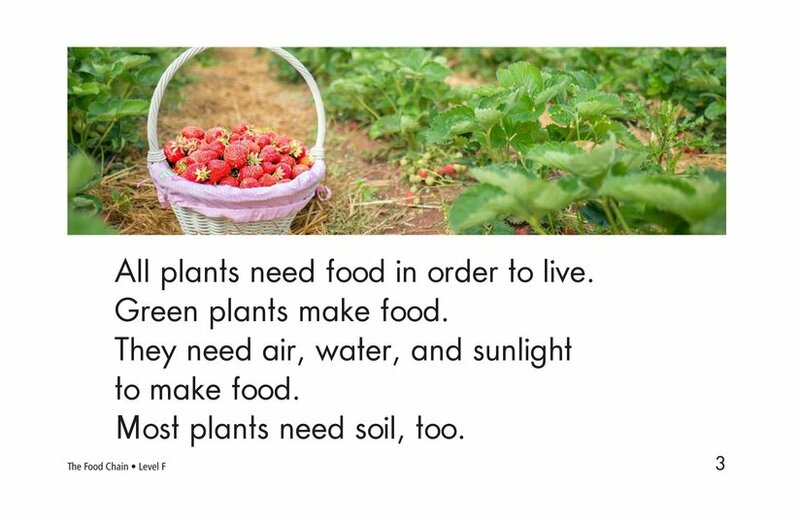 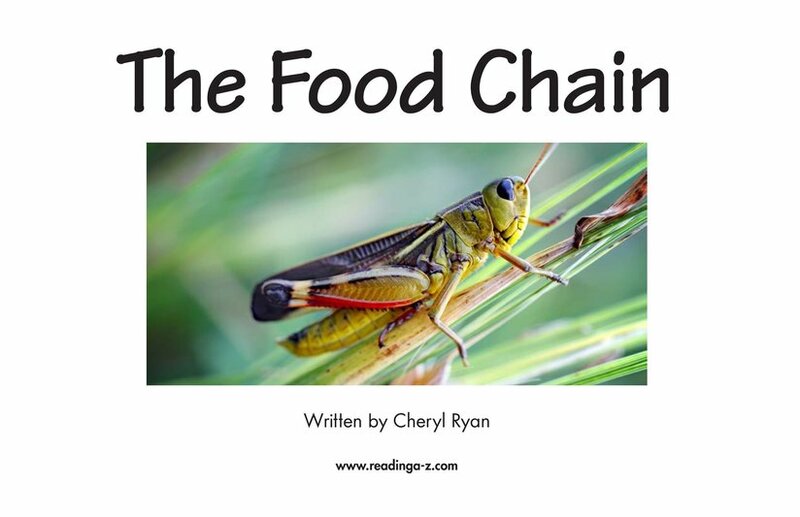 The book describes how each link in the food chain is consumed by the link that follows it. 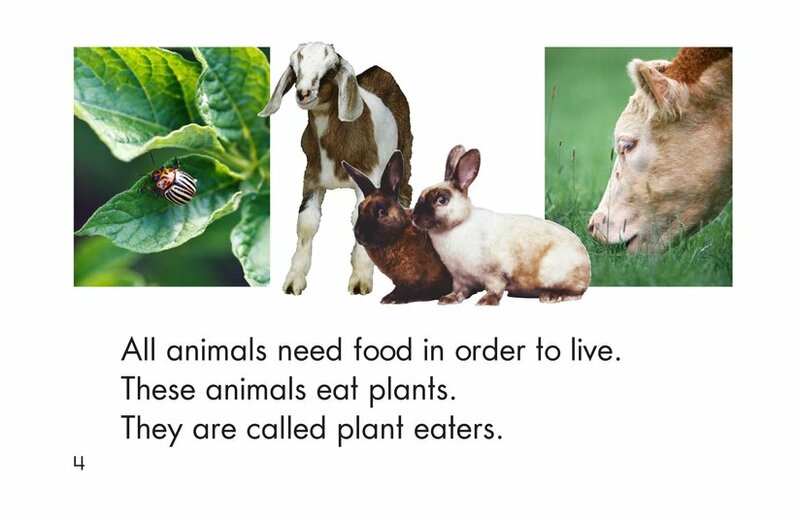 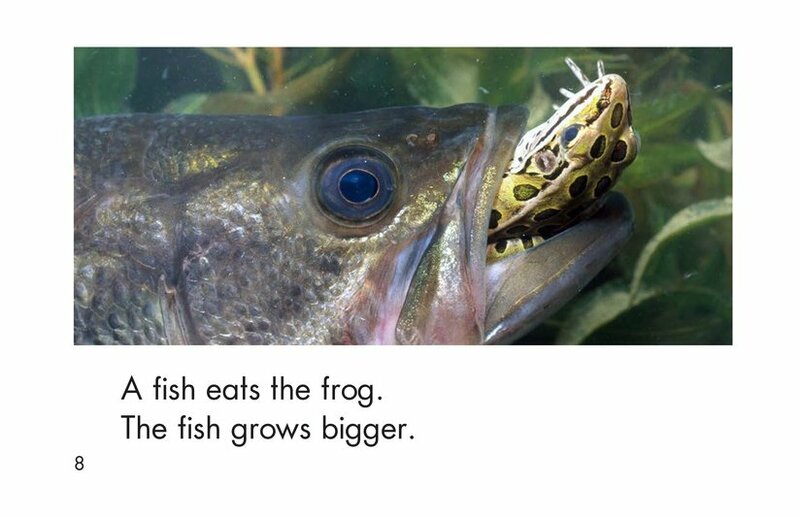 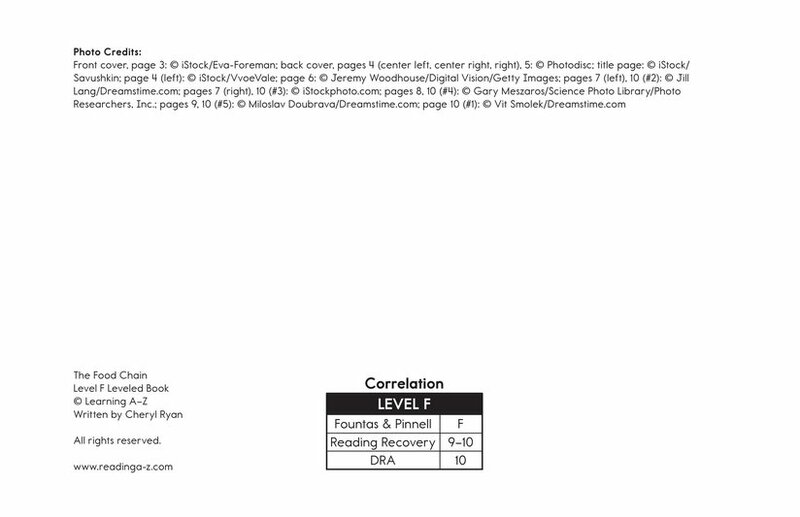 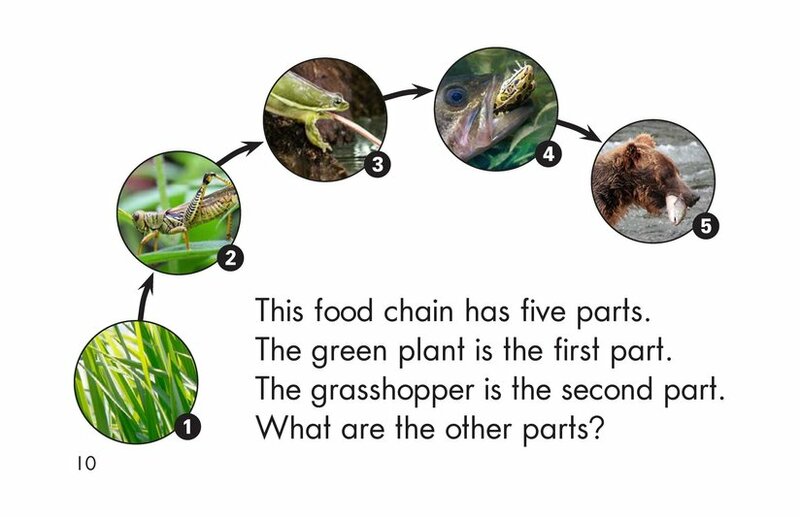 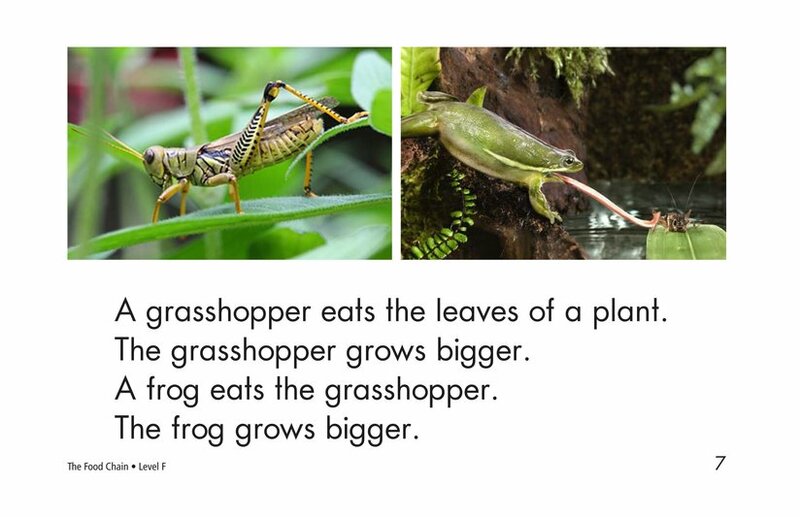 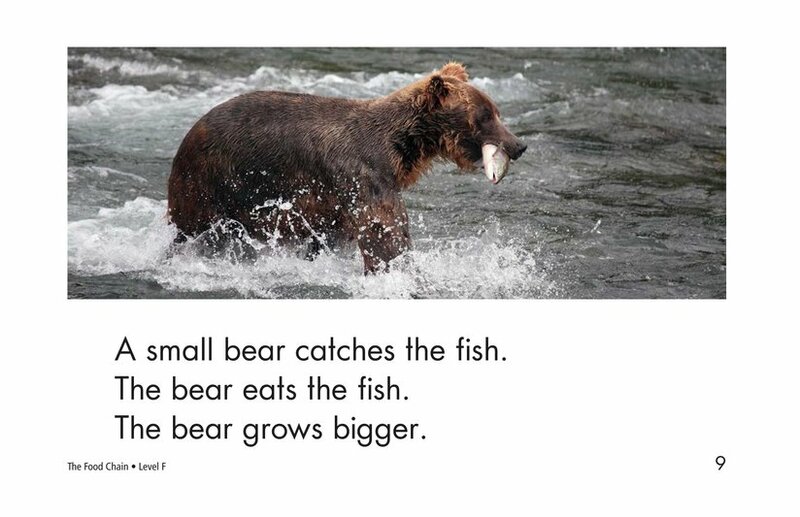 The book concludes with a one-page photo sequence of the parts of the food chain depicted in the book.